Pokémon GO isn’t exactly what we’d call augmented reality—based on the game’s (and smartphone’s) lack of computer vision and environmental mapping—but fans of the megalithic pocket monster franchise aren’t sitting on their hands waiting for Nintendo or Niantic to build a real augmented reality version of Pokémon. Case in point: KennyWdev and Joshua Liew’s imagined AR battle system for Microsoft HoloLens, aptly named PokéLens. Much unlike Pokémon GO, you won’t see any random Poké Ball flinging here. As fans of the franchise, KennyWdev and 3D artist Joshua Liew recreated a traditional RPG battle system that seems to gloss over the failings of the so-called “AR” mobile game, and distinctly returns to the series’ basic combat style. 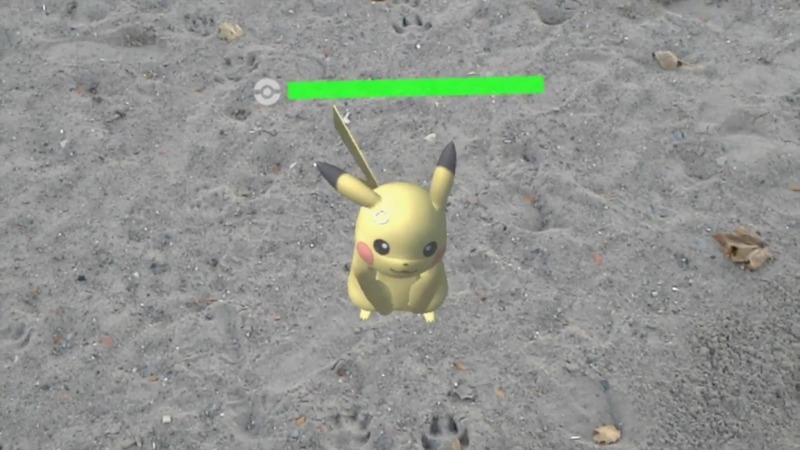 The PokéLens tech demo was recorded with the headset’s on-board HD video camera, allowing for a full capture of both the real and virtual environment. This isn’t the first time we’ve seen of fan-created Pokémon prototypes built using HoloLens however, as developers over at CapitolaVR in Amsterdam built a basic Pokémon capture system. Like PokéLens, the project was also built in Unity with the HoloLens SDK, and CapitolaVR told us that they’ve been “amazed” at how easy it was to quickly get an AR application up and running on Microsoft’s Development Kit, having only received it a day prior to filming the demo. As you can see in the video below, correct occlusion, or placing the virtual object correctly in the real world, isn’t a strong suit of HoloLens however when it comes to unmapped objects like other people. 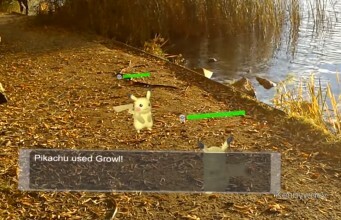 So are we going to see a true AR Pokémon game any time soon? Not likely. While HoloLens offers a great basic preview of what can be possible with untethered AR headsets, unfortunately the system requires you to map out the entire playing field first in order to play—which sort of defeats the notion of walking around and randomly finding, battling, and capturing all the Pidgeys you can shake a stick at alla Pokémon GO. So far there aren’t any AR headset systems that we know of that allow that sort of dynamic, world-scale tracking—and while it’s technically possible that Nintendo could release a Pokémon game that works within the confines of current AR tech, it probably wouldn’t be cost-effective with so few potential users this early on. So we’ll have to keep on dreaming and waiting for the next generation of AR headsets to see just what they can do, and meanwhile hoping the mindless Poké Ball-flinging mechanic dies the quiet death it deserves. Me too, little buddy. Me too. The post Fan-Made Pokémon Battle System Offers Glimpse into Augmented Reality’s Future appeared first on Road to VR.